Today, I’d like to show you a new way to manipulate Vault BCP-packages. BCP is a brilliant little tool that allows you to export and import data from and to Vault. We frequently use it for migrating from different systems to Vault or for merging Vaults together. As the import of a BCP-package might take some hours, we developed an application, called bcpChecker, that shows the content of such a package in a Vault-similar user interface. This way, you can test the structure and content of the package before running the import. You can even review with your customer the result of the import before running it! The bcpChecker has some more cool features such as checking if all linked files are accessible, or report all used behaviors, or transform a BCP-package into a dummy package, so that it can be imported without files. A secret of the bcpChecker is, that when you open a BCP-package, the complete content of such package is imported into a little, local SQL database file. In fact, in the folder of your BCP-package, you will find a file called bcpChecker.sdf. This is done in order to deal with even very large packages, and it provides superlative possibilities for manipulating BCP-packages via SQL statements. In order to better understand how this works, let me explain you the structure of the SQL database. The bcpChecker basically imports the XML files from the BCP-package. Now, in the XML files you will find elements, such as Root, Folder, File, Revision, Iteration, UDP, etc. 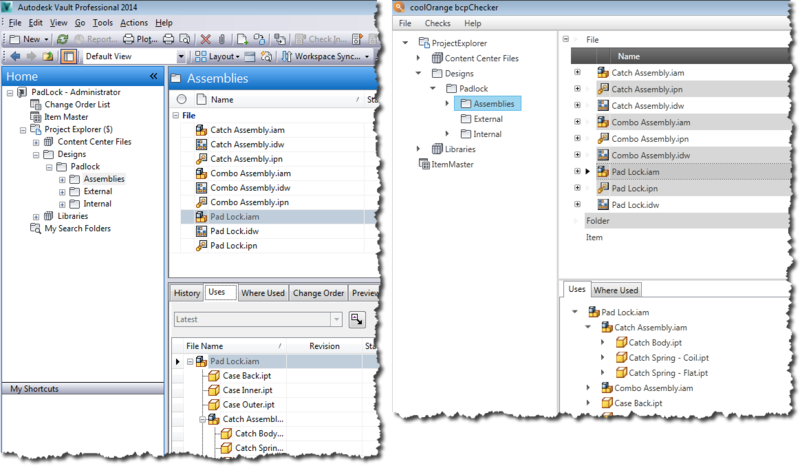 Each element corresponds to a SQL table with the same name. Each XML element might have attributes, such as Name, IsLibrary, Category, etc. Each attribute is a column of the according table. Pretty simple! So, if you have some experience with the BCP XML format, you will find according tables and columns in the database. If you don’t have BCP experience, well, then you will quickly learn some relevant tables such as File, Revision, Iteration and Folder. In both cases, it’s not complicated. The beauty of having the XML files in a database is that with a simple UPDATE <TableName> SET <Column>=<Value> you can change thousands of records in less than a second!!! 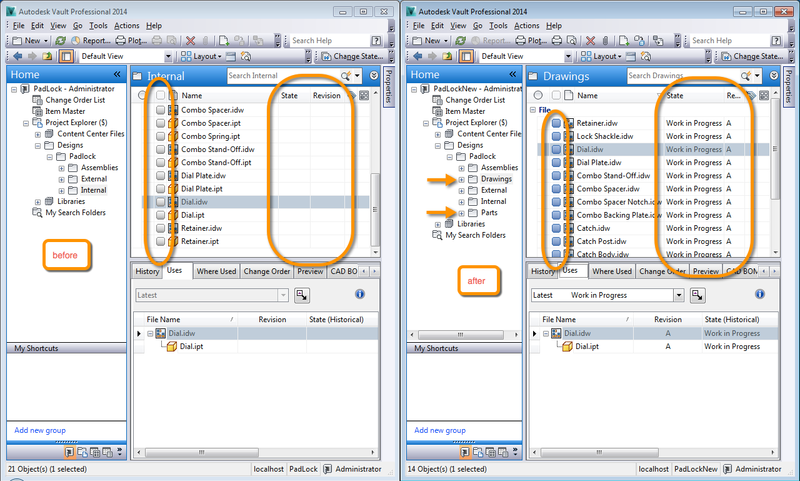 Additionally, you can create your own SQL script file and repeat and optimize the manipulation as many times you like! So, the bcpChecker reads the BCP-package into a local SQL database file. Via File>Save As… you can export such content again to a BCP-package! 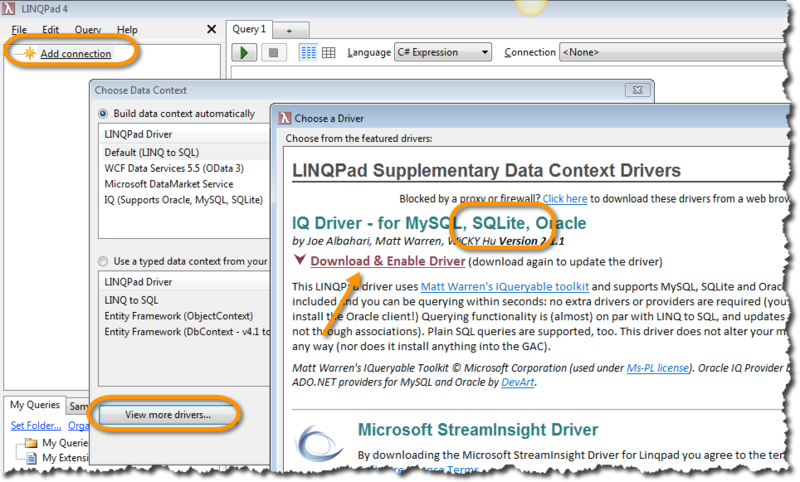 In order to manipulate the database, you can either open it via the SQL Server Management Studio or like in our case, I’d like to introduce you to a very handy and cool product called LINQPad (www.linqpad.net). The tool allows writing code in several languages and it’s quite known to whom uses LINQ expressions. However, in our case we use it for opening and querying our database. So, download LINQPad and add a new connection. You have to add an additional driver in order to open this type of SQL database, so click on “View more drivers…” and add the driver. Now you are able to select SQLite ad provider, pick the .sdf file and open the database. As you can see on the left hand side, you can expand the database structure and navigate through all the tables. If you now open the padlock.linq file or copy&paste the statements above, you can read, write and update the data for this database. Now you are set and ready to do whatever you like with your BCP-package. Have fun!!! 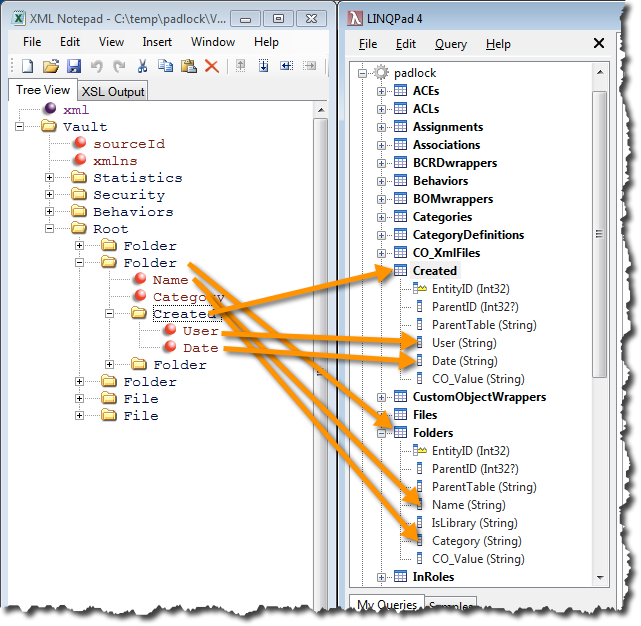 If you like to test these steps yourself, download this zip file containing the BCP package before and after the manipulation and the according .linq file with the SQL statements. This entry was posted in Vault API, Vault BCP. Bookmark the permalink.